White Americans Were Affirmative Action’s Original Beneficiaries. Now, Many of Them Want It Dead. Affirmative action is dying a slow death, and its goals are far from realized. Parity between black and white Americans is still a fantasy, hiring discrimination against black applicants was the same in 2015 as in 1989, the black–white wealth gap has not narrowed meaningfully in more than half a century, and black students still attend college at lower rates than any non-indigenous ethnic group. It is dying in large part because a vocal cohort of white Americans wants it to. 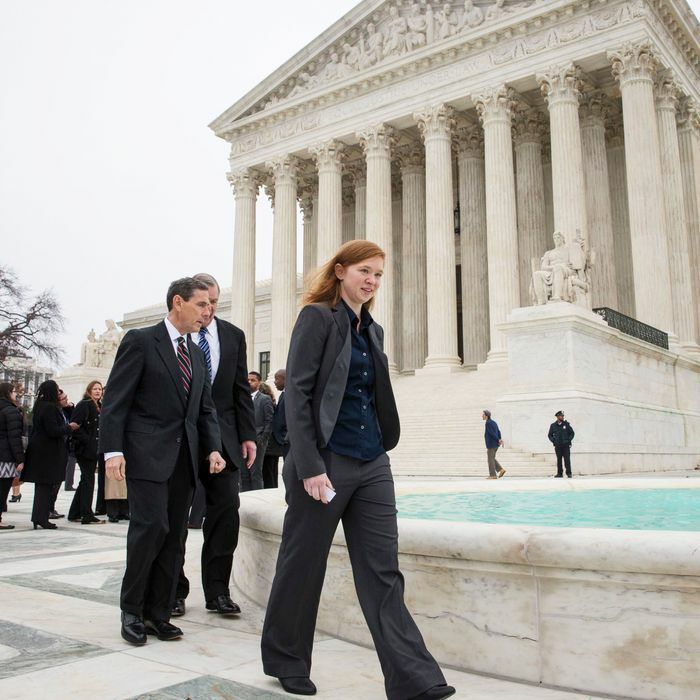 Years of legal challenges — from Allan Bakke in 1978 to Abigail Fisher in 2015 — have rendered toothless many of affirmative action’s most promising impulses. Where it was once justified as compensation for past racial harms, such rhetoric has been largely reduced to feel-good platitudes about future “diversity.” Its very name has become a slur connoting unearned advantage. As with many initiatives seen as helping nonwhites, it is viewed as an entitlement rather than an investment. Today, affirmative action faces a unique existential threat. A federal lawsuit filed by Asian-American students against Harvard College claims the school’s race-conscious admissions policies disadvantage them. They allege Harvard curates its incoming classes by race and restricts the number of Asian-American admits by rating them lower on metrics like personality and likability. Perhaps surprisingly, trial testimony suggests the school gives a special leg up to whites in sparsely populated states at the expense of Asian-American applicants — which is ironic, because the suit was bankrolled by Edward Blum, the white conservative activist behind Abigail Fisher’s Supreme Court case. “I feel that the Asian-American student population and community is being used as a pawn in a chess game,” Prudence Carter, a sociologist at Berkeley, told The New Yorker. Blum’s goal is to eliminate race altogether as a factor in deciding college admissions. Should his case reach the Supreme Court — where it would face a friendly conservative majority — it could reveal promising legal avenues for accomplishing just that. It would also be one of the great racial cons of our time. Affirmative action has been analogized as bringing people of color up to speed in a race where whites have long kept them behind the starting line. But that frame misrepresents the field. A more accurate assessment would be that white people are not winning by their own foot speed but because the U.S. government has taken proactive measures to make sure they win. They are affirmative action’s first and greatest beneficiaries. And now, many of them are trying to destroy it before others can reap the benefits. The New Deal was an unprecedented government investment in social welfare. It created unemployment benefits and Social Security and gave military veterans resources to attend college, find work, and buy homes, to name some of its banner accomplishments. It was also deeply racist — usually in intent, but almost always in practice. To get it through Congress, northern Democrats ceded significant ground to their southern counterparts, the nation’s staunchest segregationists. Southern Democrats felt that improving the lives of black people would upend the racial order in their region. We will never know if they were right. They decided not to risk it. Instead, they insisted black people be excluded from the laws’ bounties. They made sure there were no anti-discrimination measures in much of the legislation, then added qualifiers designed to render blacks ineligible for many of its benefits. In the 1930s, 60 percent of the black workforce nationally and 75 percent in the South were either maids or farmworkers. Under the Southern Democrats’ provisions, neither group could unionize, regulate its work hours, secure a minimum wage, or — until the 1950s — receive Social Security benefits under the New Deal. Northern Democrats accepted these terms willingly. The New Deal’s widest-reaching reforms targeted the nation’s 16 million veterans. A staggering 50 percent of black men in their 20s and 30s served in the military during the Second World War, despite being disproportionately rejected due to their race when they tried to enlist. Benefits promised under the G.I. Bill of Rights included money for college and government-insured home and business loans. But because southern Democrats feared the G.I. Bill could harm segregation by uplifting black veterans, as detailed in Kathleen J. Frydl’s book The G.I. Bill, they insisted many of these benefits be distributed at the discretion of local clerks. As a result, black veterans — especially in the South, where 77 percent of black people still lived in the early 1940s — were routinely denied them. Government-insured mortgages paid for nearly 5 million new homes for veterans nationwide, but just 100 of the 67,000 in New York and the northern New Jersey suburbs went to black borrowers. Black veterans across 13 Mississippi cities received just two of the 3,229 local home, business, and farm loans made in 1947. The fallout from this discrimination was devastating. As the war ended, the New Deal was setting up an entire generation of white Americans for the future in a way no other government program had or would. Black people were not just frozen out. They were stomped into the ground with Jim Crow segregation and northern redlining and poverty. During the 1930s, black Southerners lived in such degraded conditions that poor white people could afford to hire them as housekeepers. New Deal policies could have dramatically improved their lot. Instead, they widened the racial gap while millions of white families cemented their place in an exploding middle class. By 1984, when most of the G.I. Bill mortgages had matured, the median white household had a net worth of more than $39,000. The median black household was worth slightly less than $3,400 — a gaping chasm attributable primarily to the absence of black homeownership, according to Katznelson. In theory, these are the kinds of injustices affirmative action was meant to redress, in addition to issues like hiring discrimination, segregated schooling, and denial of a minimum wage. The equivalent of a blank check was written to white Americans by the same government that told black Americans to dig through their couch for loose change. The negative outcomes are specific and measurable. Without similar precision guiding how America compensates for them — like tailoring repayment to individuals based on specific claims of wrongdoing suffered by them or their forebears, whether through tax credits, subsidized loans, or educational grants — the same blunt tool is being used to solve a disparate array of problems, and lawsuits like Blum’s are a logical conclusion. Casting too wide a net and promoting ephemeral notions of diversity rather than concrete reparations hamstrings affirmative action’s case. Asian-Americans have valid grievances, and Harvard admissions may be one of them. Black Americans’ are vastly different. But neither changes that almost an entire generation of whites received the most significant government handout in American history, only for many to turn around and insist they had triumphed on their own merits. In effect, Blum is advancing a white grievance crusade they already won 75 years ago, that their great-grandchildren are still winning today, and that will enrich their descendants for years to come. Many people see “affirmative action” as a slur undermining their hard work. But perhaps the notion that hard work explains their success is part of the problem. How liberating it might be to admit we are actually the sum of others’ investments in us — and that America’s single greatest investment went to people relentlessly committed to hoarding its spoils.